Why the change in narration style??? 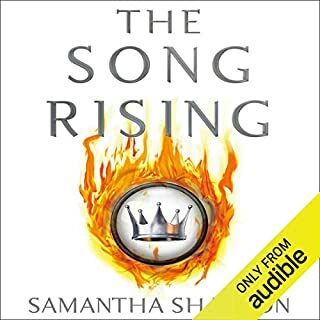 I loved Alana Kerr Collin's voice and reading style for the first two books, but this one has her sounding like Captain Kirk or an 8th grader reading Beowulf. I can't get past chapter 2. This book will be returned and guess I'll have to buy a hard copy. So disappointed as I had really looked forward to another great story to have on Audible. Would you listen to The Trespasser again? Why? YES! The cat and mouse games of the interviews - WOW. What an incredible writer. Yes, there were plenty of twists that even though you could kind of see it coming watching it play out was incredible suspenseful. Which character – as performed by Hilda Fay – was your favorite? Breslin and Connelly - both were played wonderfully. The conversation between Breslin, Connelly and Steve towards the end. 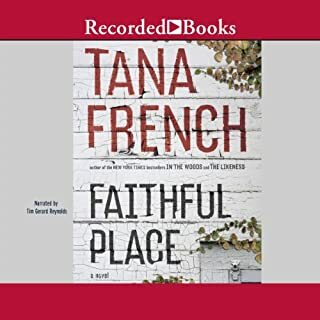 I had read Faithful Place first and thought after reading a couple of her other books that she wasn't going to be able to top that particular story, but The Trespasser left it in the dust. Tana French is an exceptional author as far as character studies. She truly ensnares the reader with her dialog between the characters and well thought out plot. She can take something simple and make it a fantastic ride through psychology. Fantastic read! 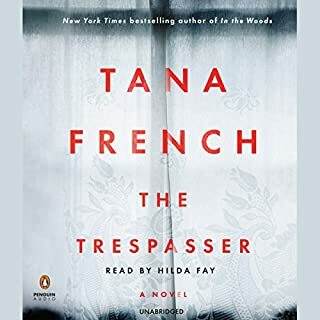 Tana French at her best! If you could sum up Faithful Place in three words, what would they be? The lead, Frank. He's complicated. So many could identify with his situation of having done better just as he had intended, moving past a family he had loved but resented. The confrontation of seeing that family again and all that goes with that. He was someone you cheered on and someone you boo'd all at the same time. His mother was pretty interesting too. An abused woman who refuses to show weakness and seems to only to be able to show love at a distance (makes their meals makes sure they eat, but pushes away each one of her kids as if that too would be part of the abuse - or maybe it was that since she didn't feel good enough she didn't think anything she produced would be as well. Have you listened to any of Tim Gerard Reynolds’s other performances before? How does this one compare? No I don't believe so, but the narration was fantastic. There wasn't one particular moment, but I was intrigued by the way the author reflected so many different personalities within the family - of course you had some stereotyping at first but as you read on and she delved more into the characters well they had so many facets. Jackie's desperation for a close family. Frank's desperation to fight having any feelings for them. Sha's desperation to escape the trap he's been held in for so many years. The list just goes on, but each one coped in the only way they seemed to know how. I am reading Broken Harbor now. 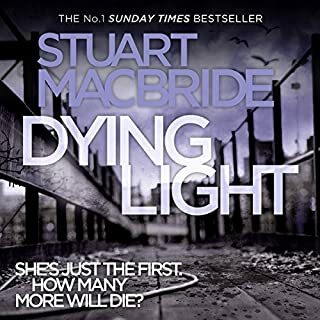 It would be an interesting series if she continues to take a detective from the previous novel - maybe the detective wasn't so well liked, or maybe they had a certain amount of respect - and explore that in a new book. I'd like to see one on Cooper next. 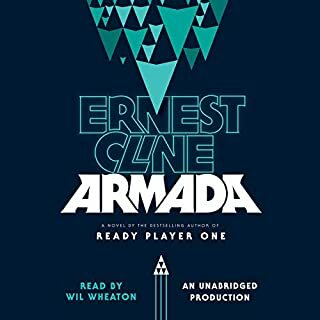 Would you try another book from Ernest Cline and/or Wil Wheaton? Not sure I'd get another book by Cline. Ready Player One was a great book,but this was a huge disappointment. He had the same 'gimmicks' of RP1 but also decided to include cheesy dialog of bad 80s movies. It was barely imaginative. Seemed he couldn't come up with something original so it was like he took a great story and made his own crappy version of it. Ender's Game was Ender's game and any copy of it is unnecessary. Have you listened to any of Wil Wheaton’s other performances before? How does this one compare?